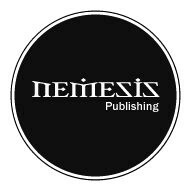 Nemesis Publishing is an up-and-coming Publishing company operating out of the Isle of Man. 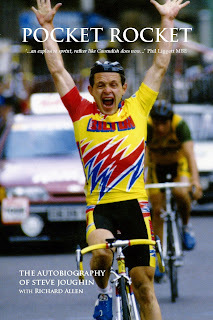 Their first book - Pocket Rocket: The autobiography of cyclist Steve Ioughin - came out in October 2010.
the first - Vertigo - in May/June is a collection of fiction from writers with a link to the Isle of Man. The second - scheduled for mid-November - will feature work from members of Litopia Writers' Colony. Litopia? Nemesis Publisher, John Quirk, joins me in saying that this is the coolest place for writers to hang out on the internet. (And, as far as I'm concerned, it was my writing university, with no courses involved). Back to Nemesis: they have several longer-term non-fiction titles they're working on and John says he's in talks with a writer regarding a manuscript which could well become their first full-length novel. This could make an appearance late 2011, depending on the rewriting and editing process. John says he's "ploughing through a raft of novel submissions, and hoping to find a few gems". Sue: John, welcome. What prompted you to start Nemesis? John: It started as a desire to provide a platform for Isle of Man-based writers to have their fiction published, via an annual anthology. There are any number of non-fiction titles written by local writers each year, and they sell well to the local market. Fiction, on the other hand, was always a tough sell for publishers. Clearly, we were aiming this at writers who hadn’t made the breakthrough via the traditional agent/publisher route. So Vertigo was born, the first issue of which will be out this summer. However, as Nemesis developed, and I began to understand more about a) how publishing works and b) the print management/design side of things, I realised that I wanted Nemesis to be much more than just a vehicle through which to publish one anthology a year. Sue: Can you give us an idea of what a publisher's typical day is like? Sue: What's the best aspect of your job? John: Three things – first, reading a submission and that feeling you get when you think, hang on, this is bloody good. Second, unpacking the first box of books when the delivery finally arrives. Incredible buzz. Third – encouraging writers, and seeing them rise to the challenge when you agree to work together. John I could say the lack of time to get everything done, but in truth it’s this – rejecting writers. Having been rejected myself, it’s a horrible feeling to have to do it to others. But this is a business, and the vast majority of submissions have to be turned down. Sue: Is living in the Isle of Man a drawback or a benefit to your business? John: For most things, the internet makes the geography of your business unimportant. Business is done online now, and it’s not really an issue. The one area where it is impacting, but hopefully not for too much longer, is in distribution. We’re looking to finalise distribution for the UK soon, but for our first book, Pocket Rocket, we’ve had to shoulder shipping costs for any order, whether it’s someone buying the book from our website, an order from Amazon or one of the wholesalers via Nielsen. It’s not a huge stretch of water between the Isle of Man and the rest of the British Isles, but it can be an expensive one when posting. But as I say, our situation should be changing pretty soon. Sue: I know publishers tell writers to read the guidelines before submitting and making sure their manuscript is ready, but do you have any other advice for writers? Sue: What type of genres are you looking for right now? John: In terms of fiction, we’re pretty flexible. We’re still finding our feet in a crowded marketplace, and so we’re open to anything that smacks us between the eyes and demands attention. Generally, I’d say we’re drawn towards the darker side of fiction, be it crime, sci-fi, horror; but don’t let that put you off if you have a cracking manuscript that doesn’t fit within those guidelines. Sue: Now for the difficult one: How do you see the future of publishing and how will it affect you? Do you believe in e-books? John: I’ve had a play with a Kindle and an iPad, but yet to invest in one personally. Two years ago, I said I doubted that I’d want to read an e-book – I love everything about the printed book. A year ago I found myself saying I’d be happy to try e-books by authors I’d never read before. Today, well, I think everyone within publishing accepts – and if they don’t, they soon will – that e-books are here to stay. They’re not just a fad anymore. Is that a good thing? I don’t know. People claim the rise of digital books will see a decline in print, bookstores facing even more of a struggle, and loss of jobs. I don’t want to see any of this. But the fact is, the younger generations are only going to go one way, and that is by embracing e-books. The millions of e-book readers and iPads and the like sold in the last 12 months makes for dizzying reading. As a small publisher, we have to be flexible and move with the times, so we’ll be looking to release most, if not all, of our books digitally as well as in print. For writers, the rise of e-books has widened the publishing opportunities dramatically. So there’s probably a greater chance now of getting your books published. From a reader’s point of view, I’m not so sure that’s a good thing – it’s going to be increasingly difficult to weed out the good reads from the also rans. Sue: If a would-be writer approached you and asked for advice, what would you tell him/her? John: Seeing as I’m in that boat myself, as a writer looking to pitch to agents, it’s strange trying to give myself advice. First up, you’ve got to read. A lot. It’s a well-used quote, but when Stephen King says - ‘If you don't have time to read, you don't have the time (or the tools) to write. Simple as that.’ – then you should listen. I’ve always been an avid reader, but never as much as I’d like. I’ve also been guilty of limiting my reading to favourite genres or authors, and not spreading my wings. With that in mind, I embarked on a project – to read a list of what are perceived to be the ‘greatest books ever’. It stalled a while back, mainly because of the time commitment needed to get Nemesis up and running, but it’s about to be kick-started – I’m blogging about it at http://113greatestbookseverwritten.blogspot.com/ and tweeting @113greatbooks. Second, you’ve got to want it. I mean really want it. In his book, A Lifetime of Lessons about Publishing, David Morrell says he opens seminars by asking students – why on earth would you want to be a writer? The excerpt can be read over at Backspace - http://www.bksp.org/content/view/14/1/ - it’s a fantastic piece, and, when I read it for the first time, it really provided me with the kick up the backside I needed. The bottom line is, your book isn’t going to write itself. If you want to be a writer, then bloody well write. Don’t talk about it. Hell, I did enough talking when I was younger, and I still struggle at times, but there’s no way around it. What a fascinating interview and I hope it's been of help to many authors. It's always good to get an inside-view of what's going on in our industry. Thank you so much, John. I'm eternally grateful. And the links you've provided make excellent reading. Good luck with your business. Please feel free to comment or ask John Quirk any questions. In fact, if any writers have suggestions for ways in which they think Nemesis (and publishers in general) can help writers, be it advice/info on their website etc, then fire away. Wonderful interview! Thanks so much, Sue and John, for sharing this with us. John, I wish you much success with your endeavor. So exciting! Well done Sue and John; I enjoyed reading this interview. Wonderful interview. Nice to hear about the publishing business straight from a publisher's mouth! Great advice, John. Always good to be reminded what to watch for while writing. Thanks for the kind words so far, everyone. Thank you John for sharing what goes on in a publisher's busy life. And, for the reminder how important queries are (and hard to write). Thanks for the informative interview, Sue and John. I always say to my husband, "When I win the lottery, I think I'll start my own publishing company and give new writers a chance to be published." Well, don't think that's going to happen, so maybe I'll live vicariously through John's experience. Much luck on your endeavor, John, and may you win the lottery! Thanks Sue for doing this interview, John is a brave man to start a new business!!! He will definitely make it big, as bravery will always be rewarded! Katja, Diane, Marilee, Marja, Nan - thank you for your wonderful comments. I think John'll make it too. Thanks again, everyone, particularly for the encouraging words. Appreciated. Wonderful interview. Thanks for taking the time to stop by. I agree with you as far as it being hard as a reader to pick from the overwhelming number of ebooks out there. Having bought some duds, I'm starting to filter my choices by reading more reviews and looking at the quality of the publilshers more than I ever did before. Eventually the cream will come to the top. Best wishes to you and your publishing business. OK - no-one's going to ask. So I will! John, I'm an e-book published author, and I notice e-books getting a bad name - such as a lot of them are rubbishy (don't kill me e-book authors). Is this your perception too? And if so, why are publishers producing "rubbish"? E-books - I think the issue is that e-publishing has opened the market up. Traditionally, if you couldn't attract a publisher (either by agent or direct submission), then your manuscript gathered dust in a desk/under the bed/in kids scrap drawing paper pile. You could self-publish, but that's a hard slog. Then vanity publishers appeared, and started touting for unpubbed writers to pay them gazillions to see their work in print. That route, obviously, has led to X number of books being printed that, how shall I put it, perhaps shouldn't have been. This diluted the market, although you can (generally speaking) tell a vanity pubbed book apart from a traditional publication. E-books have come along, and the fact is that it's easier/cheaper - at least as far as I can tell - to set up an e-publishing business. So more of the smaller/indie e-publishers have appeared, and they are all looking for books to publish. So I guess the answer is that e-books mean a greater variety of books are being published, and I think that the design value of e-books is much closer in quality to printed books, as opposed to vanity books. So the market is bigger, the books look good - but I think the quality control in the writing/editing might, in some cases, be lower than it has been in the past. Very insightful post. One question. Do you accept submissions form outside the UK? Will certainly consider - indeed, we've had subs in from North America and a few from Europe. Clearly, we're set-up mainly to deal with UK publication/distribution. One manuscript we received from North America I was very keen on, but we missed out on it. The book is set in Scotland, and would have been happy to publish in UK initially, and then look at options further afield if we reach that stage. As I said in the original post, the world is so small these days - geography is not a major factor now, least not in terms of communicating with an author on the other side of the world. And e-books take geography largely out of the equation. For printed books, of course, there's the physical distribution and geography becomes all important. Thanks John. Don't worry, your grilling is over. Thanks for your thoughts on standards of e-books. All very much in line with my own opinion. John - you've been great. Thank you.